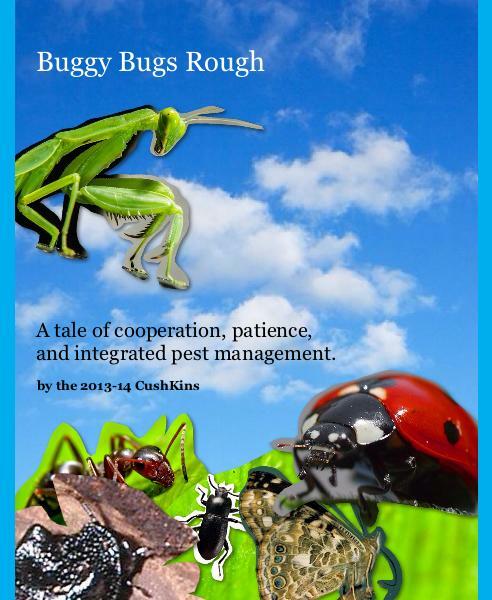 The CushKins wrote this book after extensive observation of live insects, lots of research, and consultation with an expert on entomology and integrated pest management via Skype. Their love of engineering and problem solving was put to good use as they created bridges (pictured in the tale) that could support a live chicken! Ultimately they crafted a tale that not only teaches the reader about integrated pest management, but also of cooperation and patience. ​Please enjoy a full preview of the book here. The CushKins worked in teams to build bridges from a variety of materials. The specifications were that the bridge had to be large enough for a chicken to walk under, while being strong enough for a chicken to stand on! The CushKins worked with our music teacher to write and record the soundtrack for this video rendition of their book. Recording the dialog and reenacting the story helped with both reading fluency and comprehension. We were especially thrilled to have one of the CushKins' older brothers mix us some of our favorite dub step for our closing credits. The CushKins cast the play collaboratively and everyone got exactly the part they wanted! That's cooperation!